Ever been pushing your cart around the grocery store when suddenly the canned background music abruptly stops with a crackle and a voice comes over the speaker saying something like, “Uh, cleanup in aisle seven. Um, Joe, you’re gunna need a wet mop.” A few minutes later a reluctant teenage boy shows up dragging a mop and bucket to deal with the accidental consequences of a 20-ounce jar of kosher dill pickles hitting the floor. She stared blankly at him for what seemed like minutes, then with a shallow sigh said, “I guess so.” Mark closed his eyes, put his hand on her shoulder and prayed a simple, brief but powerful prayer for her ears to open and for complete healing, in the authority of Jesus’ mighty name. Startled, she looked back at his face, now gleaming with delight that yet another opportunity had presented itself to express his faith in a mighty God, for His glory. “Hey, hey,” she blurted out, stammering for the right words. “I can hear you. I can actually hear everything, real clear. And I don’t feel any pain.” The checkout girl at the register who had been observing the entire encounter with one eye on the groceries and one ear into the conversation was now weeping, overwhelmed by what she had just witnessed. Then Mark had a wild idea, prompting a bold move inspired deep in his spirit. “Ma’am, would you mind if I used that microphone and made an announcement over the store speakers?” The clerk still dumbfounded and in a kind of robot-like manner hands it over. Mark clears his throat and clicks on the mic. “Attention shoppers!” What’s next? A five-minute special in Frozen Foods? Not tonight. “God has just healed a lady right here in Check Out Lane Number Four. And He’s not done.” He pauses, ignoring a little audio feedback squawking noise. “Someone here has hip problems and He wants to heal you. Someone else has a crippling disease in their hands, and He wants to heal you, too!” Immediately the atmosphere throughout the store changes. It’s like electricity charging the air, like an invisible force blowing around stacks of canned soup and right through boxes of breakfast cereal. At this point, wary shoppers begin sheepishly peering around end caps at the front of the store, curious to find out if they actually heard what they thought they heard. Out of nowhere a large woman on a motorized cart aims headlong toward Mark. She’s steering with one hand and waving the other. “Mister. Mister, it’s me. I have hip problems.” He motions her on towards him through the little group that has started to gather, waiting to see what happens next. He prays. She has a hard time catching her breath, almost delirious. “I don’t know what’s happening to me,” she gasps. She begins to feel heat wrapping around her hips where intense pain had been endured without help for so many years. Healing starts to flow, like a fire through bone and muscle and sinew. Now she is standing, without pain, sobbing like a baby, hugging Mark. Suddenly, a thin, tired-looking man in his mid-fifties pushes past the crowd surrounding Mark. “Wait. I’m who you’re looking for,” he calls out, twice. He has abandoned his cart in the produce section, walking briskly with both forearms out in front of his chest, hands upright. Teary-eyed, he explains to Mark and the growing number of stunned onlookers that he is a high school music teacher, a composer, but arthritis and carpel tunnel have gnarled his hands to the point of being useless. “I can’t work. I can’t play the piano anymore. Help me. Please.” Another prayer. Another miracle. The man grasps his hands together tight, in prayer-like fashion, completely whole and healed, on the spot. He’s giddy, shaking. Mark smiles. And then it was all over –– in less than five minutes. Bar code scanners began beeping again. Shoppers returned to their lists. Mark checked out and headed for his car, some of the folks staring through the storefront windows, watching him disappear from view into the darkness of the parking lot. For him, this evening was not exceptional. It’s the norm. It’s walking out a simple life of faith where the natural and the spiritual coexist, where the Kingdom of God, as Jesus said, is at hand. 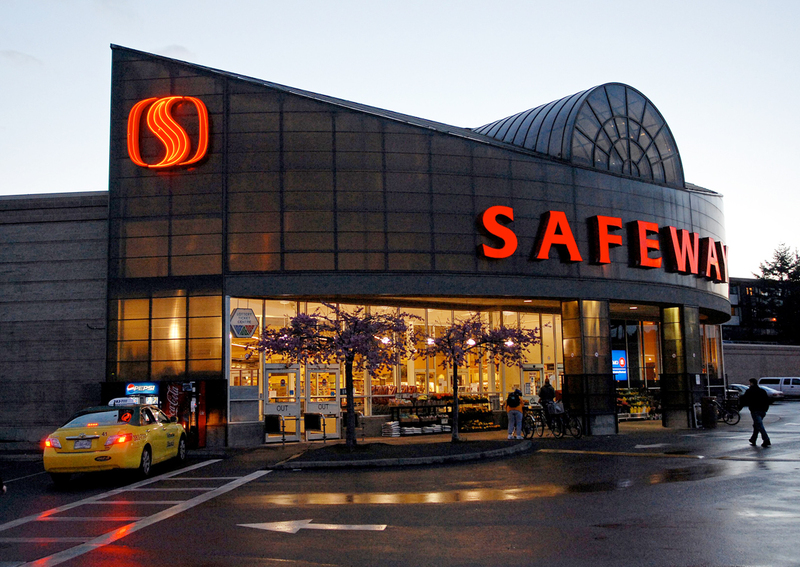 The reality of the unseen world was made manifest that night, when faith brought the presence of God to the Safeway on 6th Avenue and Spencer Street. By the way, Mark does not have the gift of healing. He has no religious agenda. No evangelism tracts tucked into his back pocket, looking for converts. But no matter where he goes or what he does, he just believes. That’s what true discipleship is all about. If I had heard that in lane four I would be joining the line in expectation! May He use me in some small way to pray for others anywhere!